The Palestinian Authority is wiretapping people with the CIA’s help, leaked document charges. A leaked document alleges that the Palestinian Authority (PA) has been wiretapping local Arabs with the backing of the CIA. The document was shared on the messaging service WhatsApp by an anonymous employee of the Palestinian Authority wiretapping agency last month, according to The Associated Press. It says the agency was set up jointly by three PA security services and contains transcripts of recorded phone conversations. The wiretapping allegedly targeted thousands of PA Arabs, from the heads of militant groups to judges, lawyers and allies of PA Chairman Mahmoud Abbas, according to AP. Now two of the people allegedly wiretapped are suing the Palestinian Authority: Tawfiq Tirawi, the PA intelligence chief from 1994 to 2008, and Jawad Obeidat, head of the PA bar association. 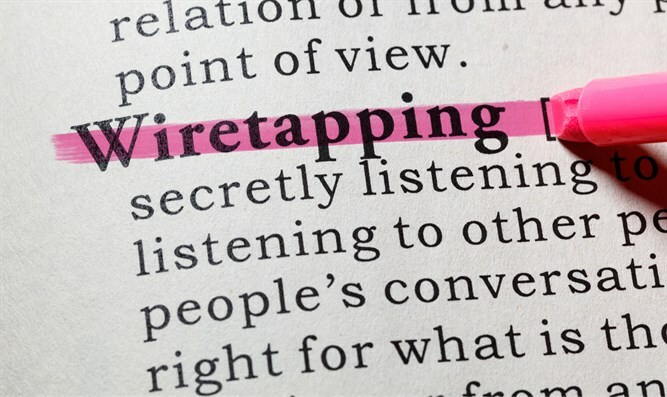 The wiretapping reportedly began in 2013 with help from the CIA. In exchange, the PA allegedly shared the intelligence with the US spy agency. The report comes as Abbas turns his back on US President Donald Trump over Trump’s recognition of Jerusalem as Israel’s capital. The head of PA security services called the report “nonsense,” according to AP.